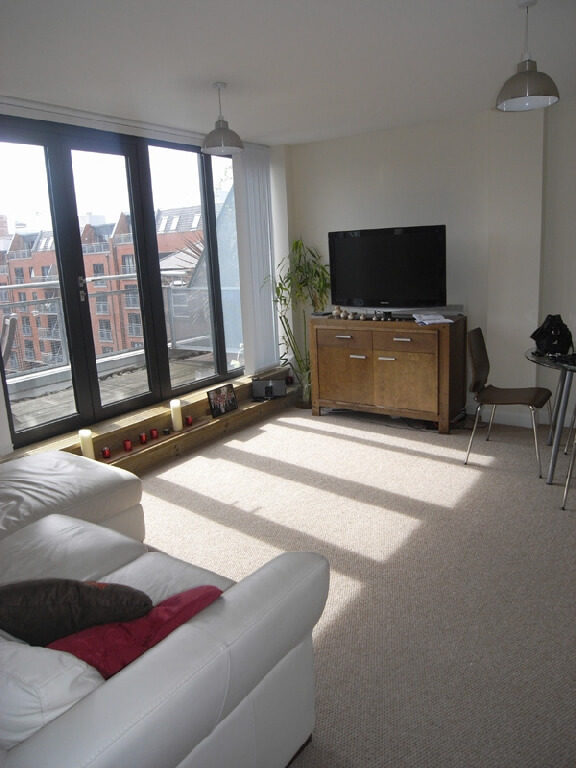 Newhall Court is a spacious and attractive Top floor one bedroom apartment offering contemporary living space with good natural light. Available to either buy to let investors or owner occupiers requiring vacant possession. 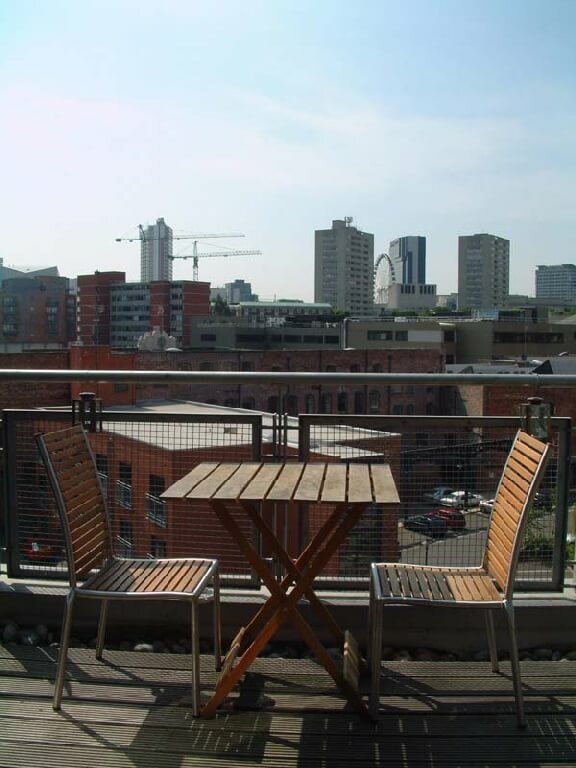 The property benefits from a private balcony with excellent city views accessed from the living/dining room & bedroom. 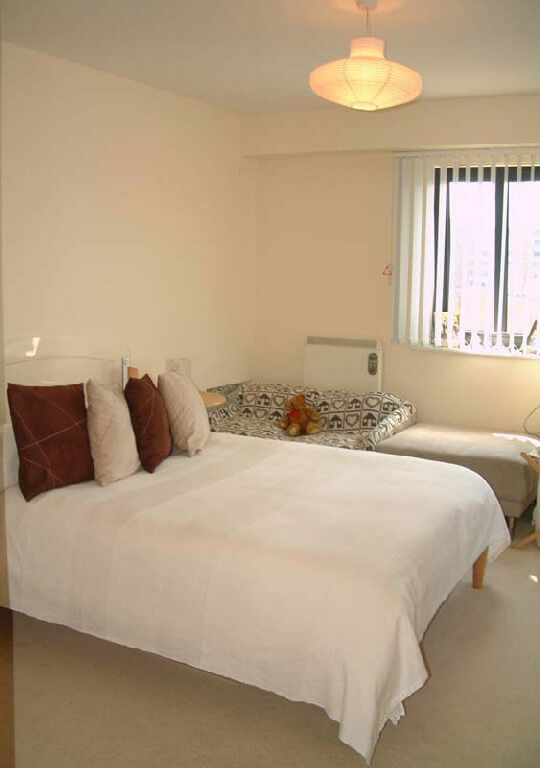 The accommodation comprises hallway, W.C., living/dining/kitchen area, bedroom and en-suite bathroom. Features include phone entry system and secure parking. 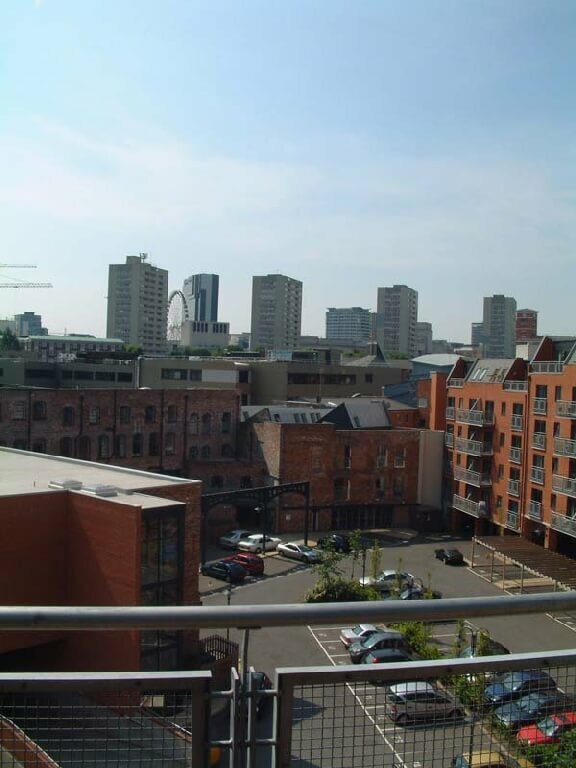 Newhall Court is conveniently located minutes from popular St Pauls Square and a short walk to both the financial district at Colmore Row and the Jewellery Quarter. Hallway 7’6″ x 5’7″ (2.282m x 1.699m) + 8’11” x 4’7″ (2.721m x 1.407m) Carpeted floor. Wall mounted heater. Recessed downlighting. Chrome light switches. Telephone point. Smoke detector. Wall sockets. Videophone entry. Hallway cupboard 3’2″ x 2’4″ (0.961m x 0.703m) Water tank. Double hallway cupboard 5’5″ x 2’3″ (1.649m x 0.682m) Providing useful storage. Double doors. Hallway W.C. 7’3″ x 3’8″ (2.216m x 1.119m) Carpet. Wash hand basin. ½ tiled walls. Ceiling light pendant. Newlec heater. Vortice extractor unit. Wall mounted mirror. Living/Dining Room 13’4″ x 14’7″ (4.074m x 4.448m) The living/dining room is in good decorative order with excellent city views. Carpet. Wall mounted “Newlec” heaters. Ceiling mounted light fittings. Chrome dimmer switches. Double & three pin electrical sockets. TV/FM/Sat points. Telephone point. 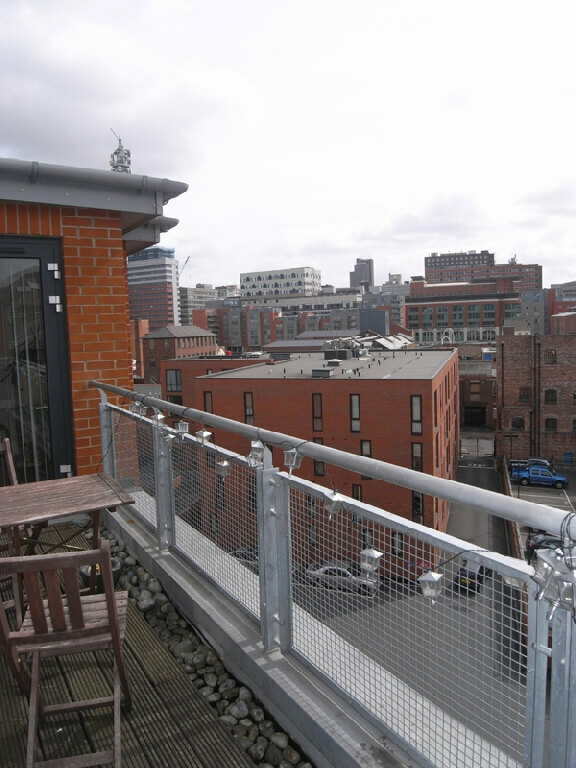 Steps leading to double glazed doors and onto terrace with views across the city. Kitchen 13’6″ x 7’3″ (4.108m x 2.212m) ‘Karndene’ tiled floor. Double glazed window to rear aspect. Range of contemporary wall & base mounted kitchen units. Work surfaces. 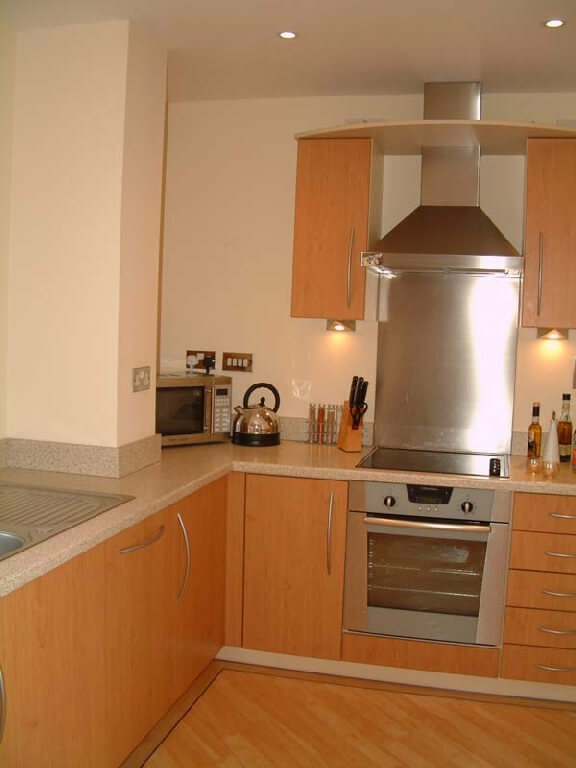 Electrolux oven/hob & extractor fan. Concealed Zanussi fridge & freezer. Concealed Electrolux dishwasher. Concealed Electrolux washer/dryer. 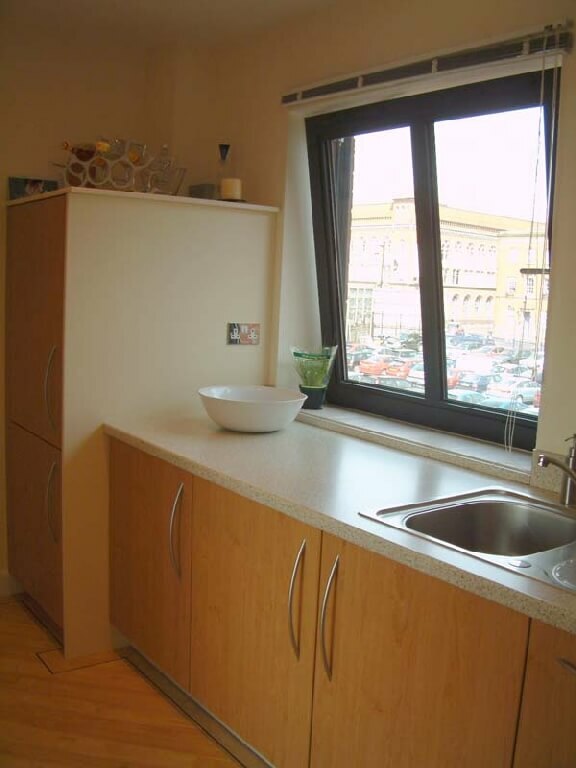 Stainless steel sink & drainer. Recessed downlighting. Under counter lighting. Chrome switches & sockets. 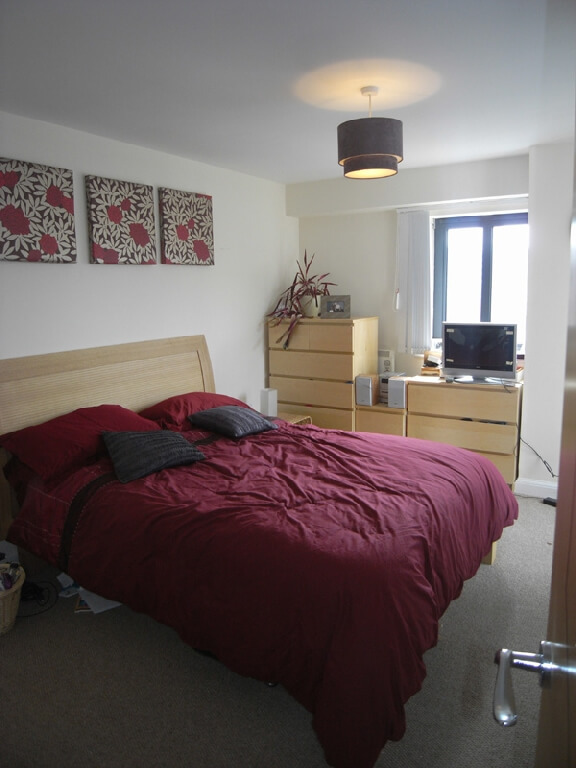 Bedroom 11’3″ x 13’6″ (3.417m x 4.110m) Wardrobe 7′ x 2’3″ (2.129m x 0.678m) Well presented spacious accommodation. Carpet. Double glazed window. Fitted double and single wardrobes. Ceiling mounted light fitting. “Newlec” heater. Telephone point. Double & single wall sockets. Steps leading to double glazed doors and onto terrace. En-suite Bathroom 6′ x 6’10” (1.816m x 2.070m) Carpet. ¾ height tiled walls. White matching pedestal wash hand basin with chrome mixer tap. WC. Bath with glazed shower door & chrome thermostatically controlled shower. Fully tiled around bath/shower area. Wall mounted “Newlec” heater. Shaver socket. “Vortile” extractor fan. Recessed downlighting. Parking – Newhall Court has one allocated parking space in the secure car park. any part of an offer or contract. Any information shown in these particulars or accompanying information are for guidance only and should be checked on site.